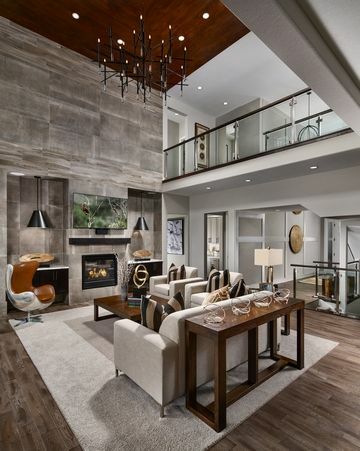 THORNTON, Colo. - Jan. 7, 2019 - PRLog -- Toll Brothers recently unveiled its three fully-decorated model homes in one of its newest communities, North Hill. "No other new home community in Thornton offers so many amenities for its residents," says Mark Bailey, Toll Brothers Colorado Division President. "We encourage prospective home buyers to visit soon and walk through the newly completed model homes." - The 2,600-sq. ft., two-story Hayward. The home's enticing covered porch and entry lead into the welcoming foyer, with views to the beautiful dining room, soaring two-story great room, and desirable covered patio beyond. The well-equipped, stylish kitchen overlooks the main living areas and features a large center island, plenty of counter and cabinet space, and roomy pantry. The secluded first floor master bedroom is complete with sizable walk-in closet and spa-like master bath with dual-sink vanity, luxe glass-enclosed shower, and private water closet.